At the front of the race, Dave and Aaron had an outstanding battle for 3rd place. Dave ended up taking it, just seconds off his PB, running 29:46. This was good enough for 3rd OA and 1st in his AG. Aaron was very close behind with a PB (and all-time fastest race) of 29:53. This brought him in 4th OA and 1st in his AG. Holger came in next for the team. Less than one week removed from Boston, he still managed a new 8K PB of 32:12, good enough to crack the top 10 and place 2nd in his AG. Derek Hergott was in next with an outstanding 36:14, placing just inside the top 25, and 4th in his AG. Paul showed that his fitness continues to improve. Coming off a great TYS10K, he ran an excellent 36:53. Kyle MacKenzie, the youngest H+P-er out there, was in next for the team with an outstanding result of 38:47. He won his AG, and he also won the parent/child division with his dad! Jessica came in next with an outstanding time of 41:13. Cari Rastas Howard was in next for the team with an outstanding 42:10 personal best. Tracey had a very strong 4th place AG finish with a time of 42:45. 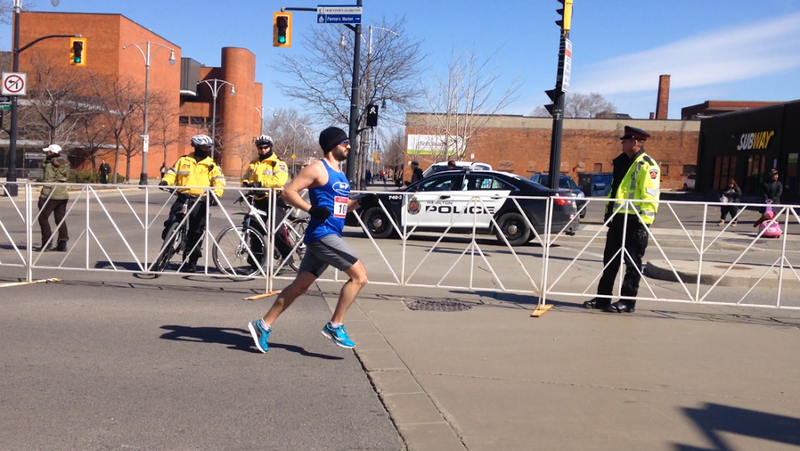 Thanks again for another great event RunWaterloo! And thanks to Julie for all the great photography. H+P had a very solid, 8-athlete contingent that raced Boston this year. Conditions were tough, but our runners persevered! Here are the results. Jordan was in next for the team with a time of 3:09:49. An ultimate frisbee injury severely reduced his mileage during the key training blocks leading into this race, but he still was able to cross train his way to a very respectable time. Congrats! Jess was in next with a PB of 3:15:48! Right after Jess was our masters female All-Star, Val Hobson. She had a very strong finish of 3:16:49, good enough for 25th place in her AG that included just under 1900 women who qualified! Andrea was in next for the team. Battling through some injury adversity in the final weeks leading up to the race, she still ran an outstanding time of 3:19:17. 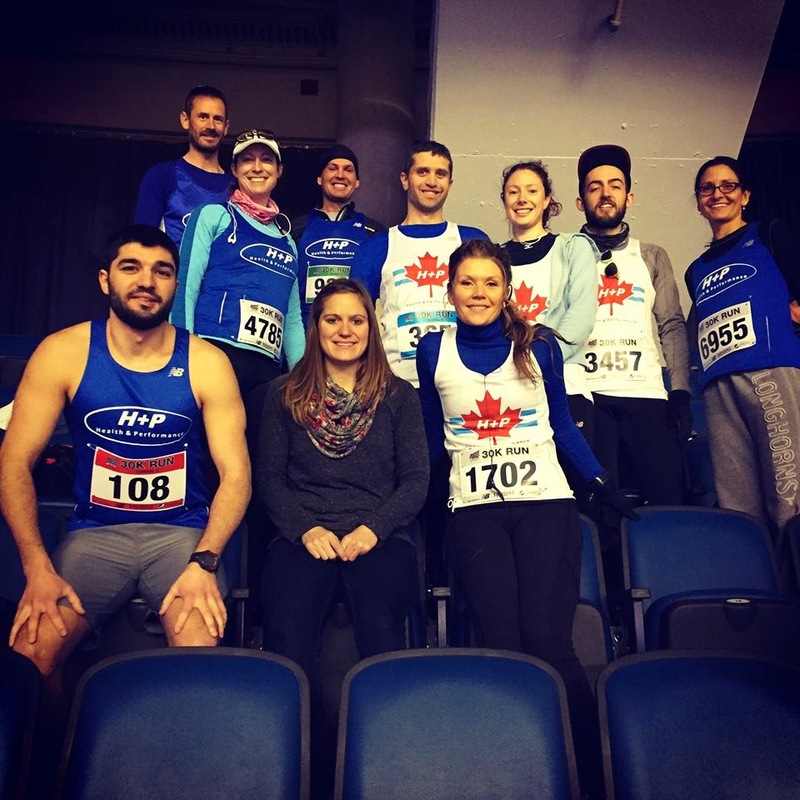 Our Manulife Crew (Jeff Collins, Erica Hall and Laura Hewitson) all had strong races and great finishes in their first marathons. Jeff ran a very solid 4:16, Erica came in at 4:25 and Laura finished in 4:47. Way to make our team proud in Bawstin! 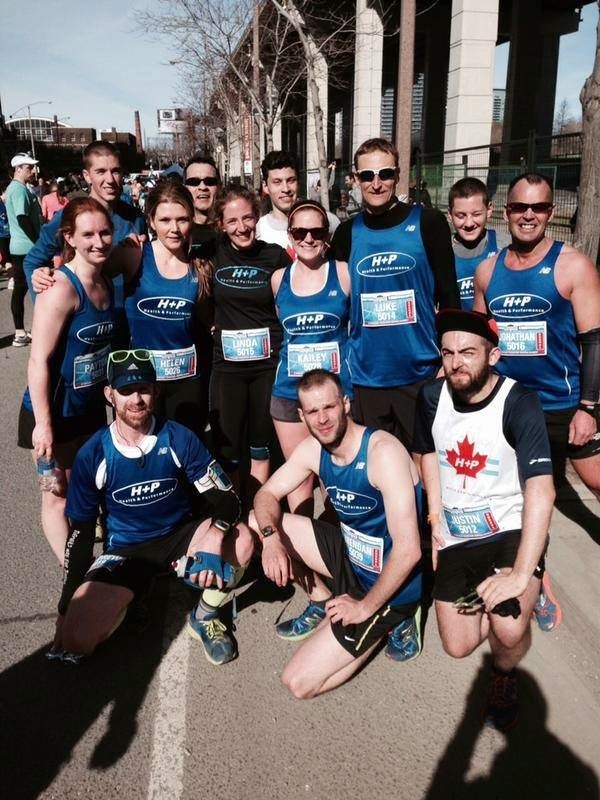 The 2015 TYS10K marked the absolute fastest and most PB-riddled performance by H+P. Ever. The H+P Men's team was the top team with an average time of 33:08. Top 5 came from Adam Hortian, Brendan Hancock, RunnerRob, Greg Dyce and Ahmed Ahmed. The H+P Mix team also got in on the action, placing 4th with an average time of 40:00. Top 5 came form Erik V, Simon, Jonathan, Justin and Lucas. 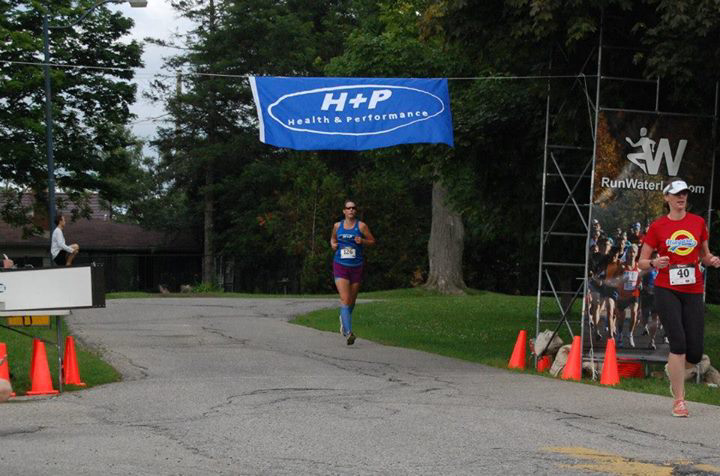 The H+P Women's team also came out on top with an average time of 40:53. Top 5 came from Steph Hortian, Kailey Haddock, Payton Thiel and Helen Broom. The H+P Women's team actually place 4th out of all the top mixed teams, while our Mixed team cam in just behind with an average time of 41:44. Brendan Hancock came in next, running PB of 32:34, good for 25th OA. RunnerRob was 3rd for the team with a very solid 33:20, a new PB. Greg Dyce posted a surprise, marriage-driven PB of 34:30. Ahmed Ahmed came in with an outstanding personal best of 34:45. Coming in next for the team was Luke Ehgoetz with a new PB of 36:13, our top masters runner! Nick Burt battled a toe injury and posted a very solid 37:10. Steph Hortian was our first female to cross the line. She ran 37:19, good enough for 10th OA and a new club record! Kailey was our second female to cross the line, posting an outstanding 4 minute PB of 38:44. Simon Gonslaves was in next, posting an outstanding 39:04 PB! Jonathan Fugelsang came in just after Simon with a great 5 minute PB of 39:52. Emily Hunter crossed with a massive PB of 40:59. Coming back form concussion, Justin Buis posted a 5 minute personal best of 41:14! Payton was in next for the team with a massive 4 minute personal best of 43:24. Linda was in next with a 3 minute personal best of 43:32. Helen followed with a 4 minute personal best of 43:56. Andrew posted a very solid personal best of 44:00! 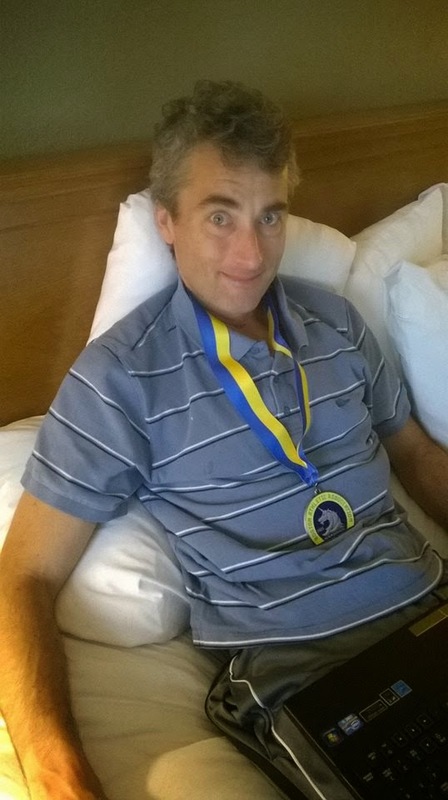 Paul showed his fitness is coming into form, posting a time of 44:11. Tracy was in next, our TOP masters female, running a PB of 45:02. Dragan was in next with another PB of 46:21. Kristin Marks posted an outstanding personal best of 49:24. Candice Shrigley posted a great personal best of 51:27! Heather was in next with a very solid person best of just over 1 hour. See ya next year TYS10K! Aaron Mailman had a massive new personal best of 18:32, winning his AG and placing 4th OA. Brian Weltzer was in next for the team with a great time of just under 21 minutes. Don McLeod was in next with a personal best time of 20:50. Sam Lalonde, aka Whiz Kid, posted a massive personal best of 21:01. Paul Gonsalves was in next for the team with a great time of 22:03. Derek Hergott posted an oustanding 5K of 22:46, a new 5K PB! Kyle had a great debut with the team, posting a time of 25:05. Cari and Robyn ran together to help Cari to post a massive new personal best of 25:34! We'll be back with an even bigger roster for the 8K next week! It's been a while! Time for our fourth episode of H+P Spotlight. Today we had the chance to chat with Cari. She's been an outstanding edition to the team ever since she joined. With her hard work, positive attitude, and outstanding improvement (including taking almost 30 minutes off her ATB time this year! ), there's no denying that Cari makes the club a better place for all of her H+P teammates. Of course, it doesn't hurt that she has brought 3 of the first honourary H+P-ers (her two boys and dog Maggie). H+P: When did this entire running thing start for you? CRH: I was a “hobby runner” for years. I would sign up for a race to motivate myself, run regularly until the race, and then stop for months and have to start over again. My first ever race was the 5km Run Waterloo EndurRace back in 2004, and my certificate for that one is still not full! When I was on maternity leave with both my boys, I had a great jogging stroller and ran 2-3x a week, and I did my first two Try-a-Tri races at the end of my mat leaves. But everything dropped off once I went back to work both times. 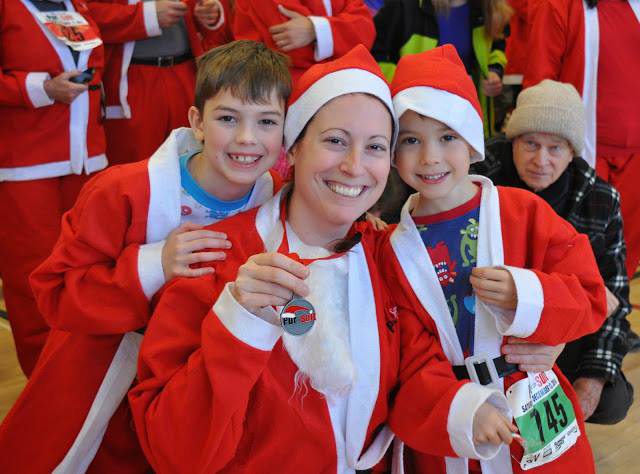 Even when I previously did Around the Bay and the Scotiabank Waterfront half marathon in 2012, they were more about just doing the distances than racing, and when I didn’t sign up for anything in 2013, I didn’t run! 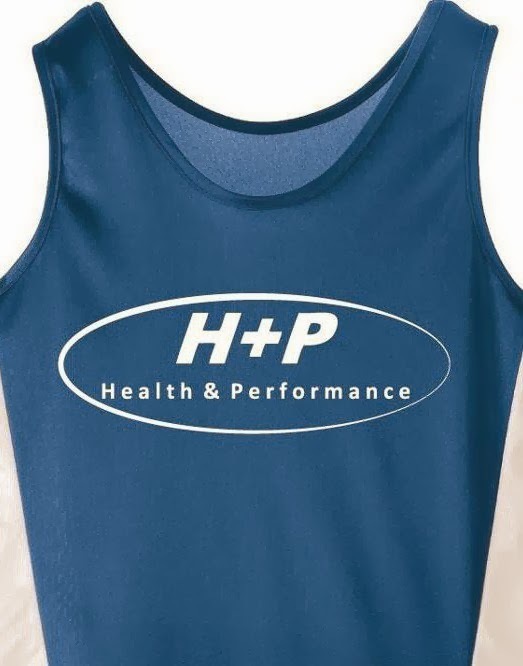 Joining H+P in early 2014 was part of my commitment to running as a sport, and actually training to get better at it. I’m happier when I’m running! H+P: You have come a long way in the past 1.5 years, setting massive personal bests at literally every distance you've run. What accomplishments are you most proud of? CRH: The personal bests are an amazing feeling. It’s easy to PB over when I wasn’t really training, but seeing improvement over my 5 km times between April and October of last year, even though it’s smaller, feels just as good! The two that I’m the most proud of are my 5th place age group finish in last year’s Guelph 2 Try-a-Tri, and definitely this year’s Around the Bay. It felt AMAZING to run the entire 30 kms of Around the Bay, especially passing the sections that I walked through in 2012. H+P: What types of changes have you made in your training that helped to produce this spike in performance? CRH: For the first time ever, I’m actually “training”. I don’t automatically skip workouts when I get busy. Instead, I find ways to adjust or move them. Having a coach tell me what to do makes a big difference, since I would never do intervals or speed work or hills on my own! It also really helps to have everyone’s experience and expertise to draw on now too. Before I joined H+P, I knew nothing about proper training, had no idea what a “taper” was, or the importance of base mileage. It’s almost embarrassing to admit how little I knew. H+P: H+P seems to have a reputation (with some) as being a "high performance" or elite type club. Were you intimidated to join at all? How did the process of getting comfortable with the group and training program go? Were there any major challenges? CRH: I was very intimidated at first, but there was no reason to be! I discovered H+P when I was following a few people on Twitter who turned out to be members. 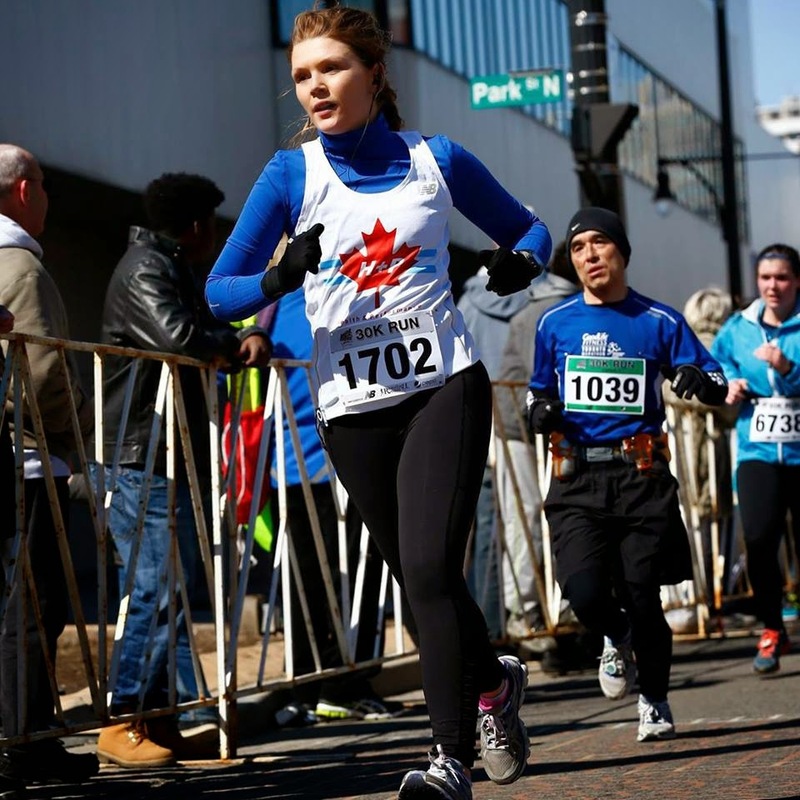 I loved the philosophy of training to get better and the health benefits will come, and it’s obvious on the website that the group is open to all and welcomes runners of all ability. But when I looked a little closer, YES, I was super intimidated by all the elite runners! In fact, I think my first email to Sean said just that: love your attitude, but how can I possibly fit in? (I think I used the word “slow” a lot in that first message…) Sean responded with what I’ve come to know is his normal high level of enthusiasm and encouragement: telling me that I would be welcome, it sounded like I’d be a good fit, and to come on out and give it a try! It took me a little bit to figure out the workouts (I still have to ask questions when Sean describes them‎), but everyone was very welcoming and encouraging right from the start. There are definitely different degrees of running ability in the group, but no one acts as if they are better than anyone else because of that ability. Everyone in the group respects everyone else just for showing up and doing their best. There are lots of options to make the workouts work for you, and there were lots of people who made the effort to circle back and “pick me up” between intervals, etc. It’s definitely training and it’s hard work, but there’s a surprising amount of fun to be had too. H+P definitely deserves the “high performance” reputation. But there’s nothing elite about the group’s attitude! H+P: What is your favourite part(s) of training with H+P? CRH: Definitely the social aspect. I’ve met some fantastic people, made some great friends, and get to keep challenging myself to keep up with them! It’s such a little thing, but it means so much to me to hear everyone encourage each other when we’re running past (or being passed) during workouts. I’d never really considered running to be a “team sport”, but it’s that team feeling that I really like. This winter was tough, but knowing that a whole group of people would be out there working and braving the windy cold with me was really motivating. It’s great to have people to call up to run with outside of the H+P sessions. And having someone to laugh with when long runs don’t go according to plan helps too! H+P: One of the most impressive things about you is not just your improvement, but your improvement given how busy you are in life! Busy job, kids and countless other responsibilities- how are you able to make everything work? What advice would you give other parents/over-committed individuals struggling to fit time for fitness? workouts, just like everything else gets scheduled. Other strategies: I live only 5 kms away from my office, so I’ll run to work occasionally, or I’ll try to get out for a run at lunch (having a shower at the office helps!) The boys are too young yet to be left on their own, but I have an elliptical and my bike on a trainer in my basement and can get some cross-training in after they’re in bed or before they’re up in the morning. Summertime is easier, because I can bring them along to hang out during H+P workouts, and they’re both getting more interested in running (or biking) along with me. I’ll run laps around the soccer field, or do stairs at the hockey arena while they practice. Doing something is always better than doing nothing, even if “something” is walking up the toboggan hill 20 times while sledding with the kids, instead of doing a hill run. My biggest piece of advice is something I’m still working on: while it’s important to try to fit in training when and where you can, it’s also important to be kind to yourself. While I don’t want to cut out running, sometimes there really is too much on my plate, and something has to give. If I do miss a workout, I try not to beat myself up over it. Similarly, I try not to let it get to me if the dishes sit in the sink, laundry isn’t folded or my house doesn’t get vacuumed because I went for a run instead. Fitting in fitness isn’t selfish, but I think it’s something women (moms especially) struggle with. Having a supportive partner is priceless. 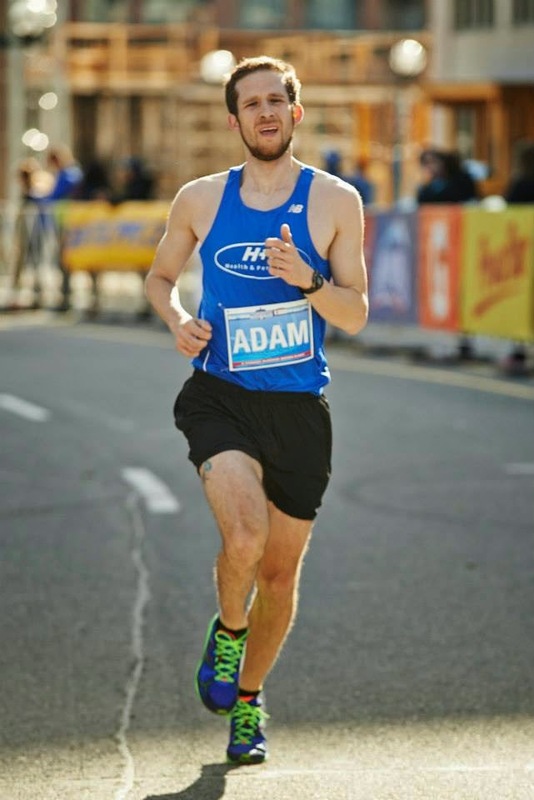 ‎My boyfriend isn't a runner, but he gets my commitment to training, and would never ask me to skip a run even when things are busy. Just the opposite: he encourages me to go, and will often have food waiting when I get back! H+P: What drives you to find the time to continue training? Is it health, competition, or something else? H+P: 2015 looks like it's going to be a big season for you! What are your big goals? 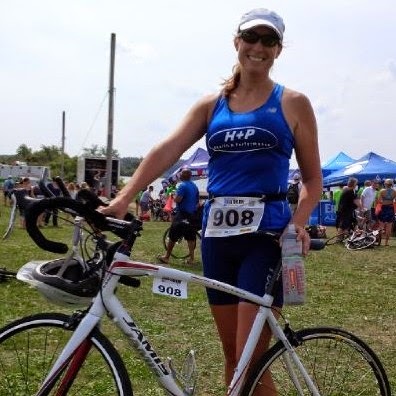 CRH: One big goal for 2015 is already behind me: Around the Bay! It was a great race for me, and everything went really well. Of course, now I’m tempted to do it again in 2016 and see how much better I can do. 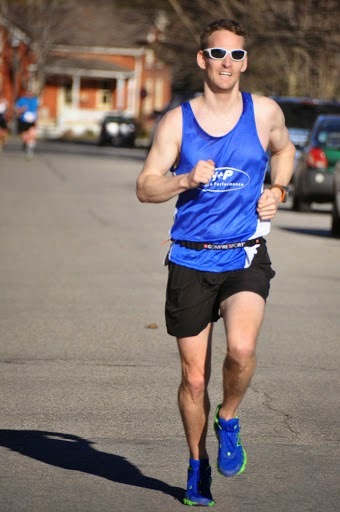 Other goals for 2015 include a sub-25 minute 5 km, doing my first Sprint Triathlon, and trying to catch a few ladies in the H+P World Ranking! The 2015 ATB road race was an outstanding event for the team. The 5K produced two new club records, while the 30K produced many unbelievable personal bests. Check out our team stats and Strava playback HERE. club record in the 5K running 15:13, placing 3rd OA. 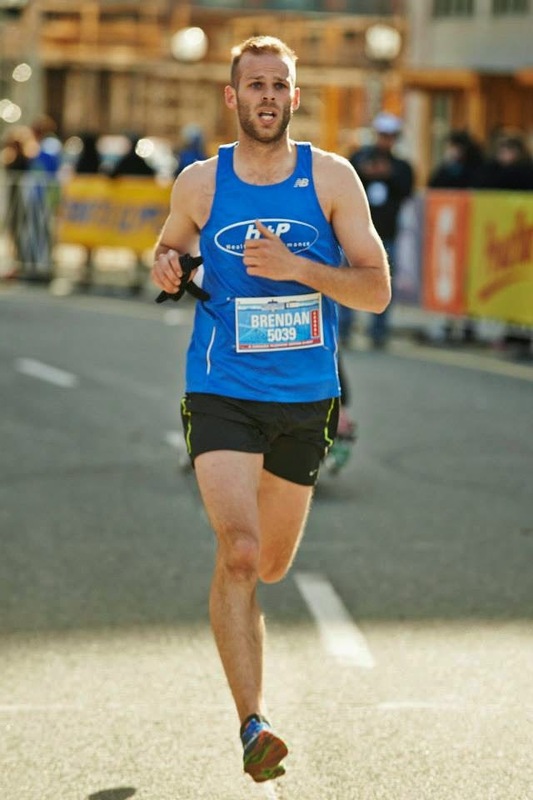 RunnerRob had a great return from Kenya, running a new PB of 16:02 and cracking the top 10. Steph Hortian also had a record breaking run for the team. She ran a new H+P club record of 18:44, and placed 4th OA. Mailman had one of his best performances ever. He ran a great time of 2:04:07, a new personal best by about 4.5 minutes! Holger came in next for the team with a great time of 2:07:43. Battling a knee injury coming into the event, Mike still managed a very solid time of just over 2:10. In next for the team, and our first female runner was Val Hobson! She crushed the race, posting a 10 minute PB of 2:12, and placed 3rd in a very competitive AG at a very deep race. Our swim coach, Emily Hunter, was in next for the team with a time of 2:15. This was good for a 22 minute PB! Vicki Z was in next. 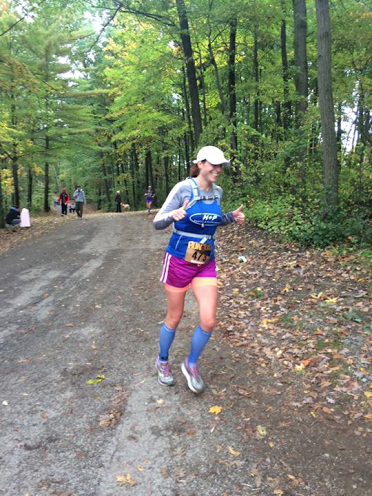 She ALSO posted an outstanding PB of 2:22:07, and also managed to PB her half marathon en-route. Tracy came in next with a massive new PB of 2:25, which also included an en-route 1/2 marathon PB! Jonathan posted a great time of 2:26 in his first time running the 30K. 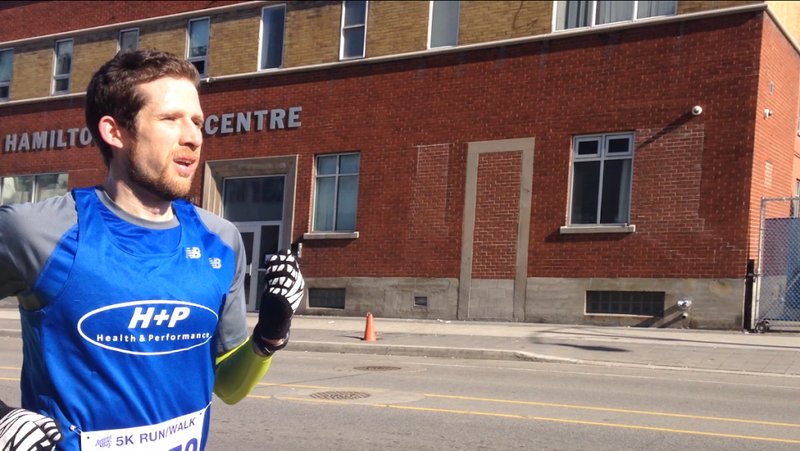 Sam Lalonde (aka Whiz Kid) posted a massive 20 minute personal best of 2:28. Helen came in next for the team with a time of 2:31- good enough for a 16 minute personal best! Coming back from a concussion that took him out for all of February, Justin still managed a very respectable 2:45! Jessica R came in with a new personal best of just under two hours, a PB by 13:36! Cari had an outstanding performance. 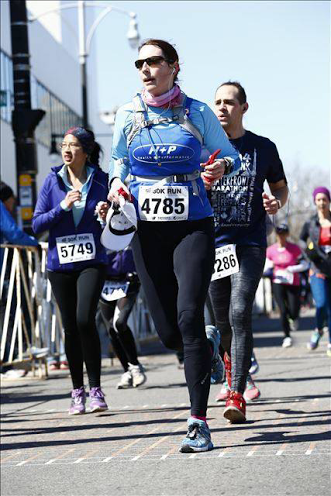 Despite facing numerous training roadblocks in 2015, she manged to crush her personal best by 28 minutes, running 3:16! The Heijs ran once in February and twice in March- but they both still completed the 30K and actually came out to practice on the Monday and were still mobile! 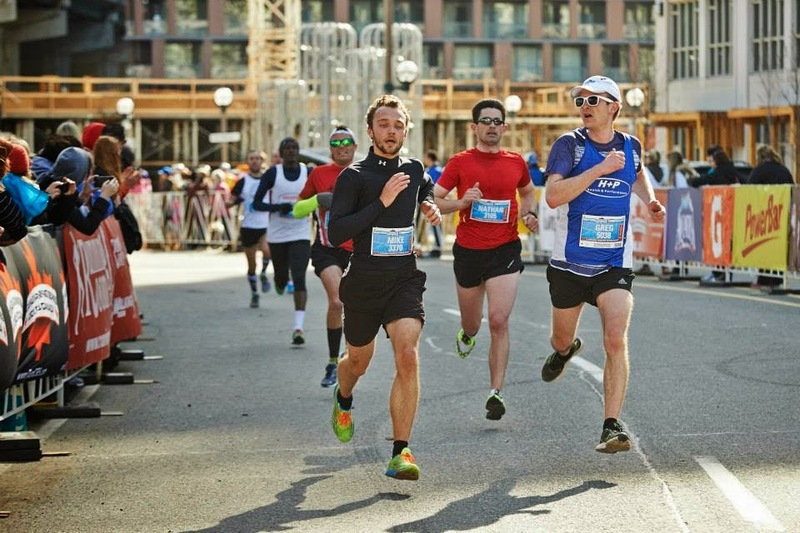 Up next for the team: the Toronto Yonge Street 10K!